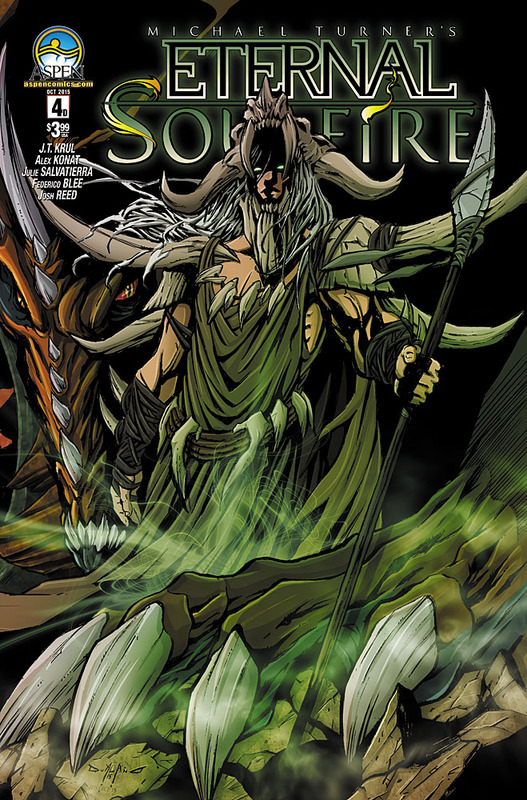 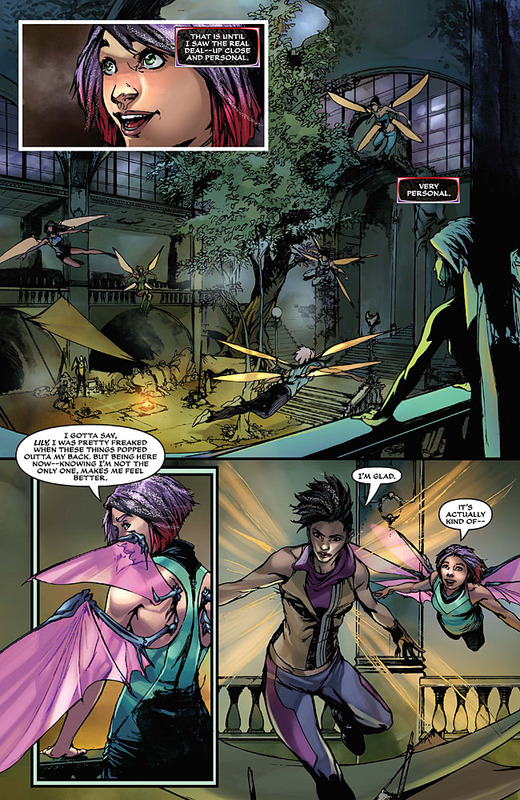 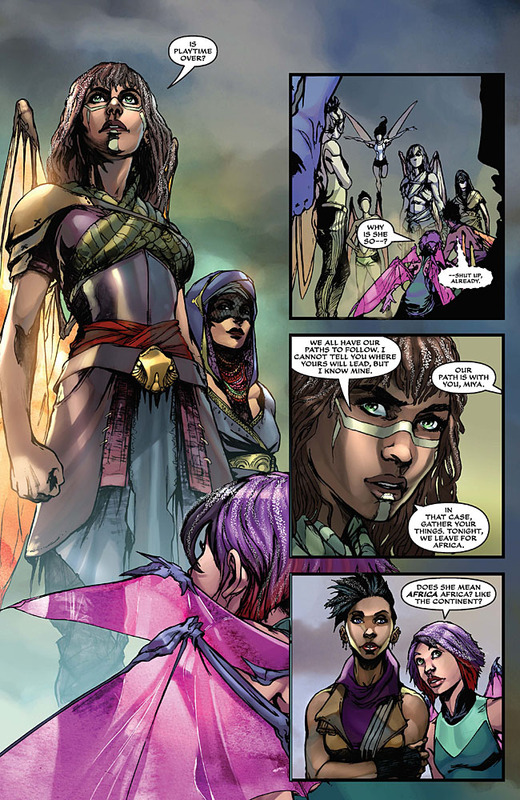 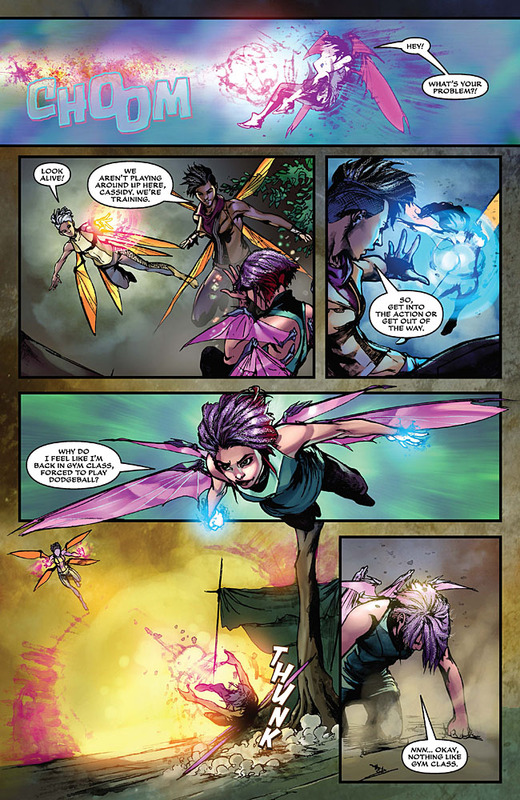 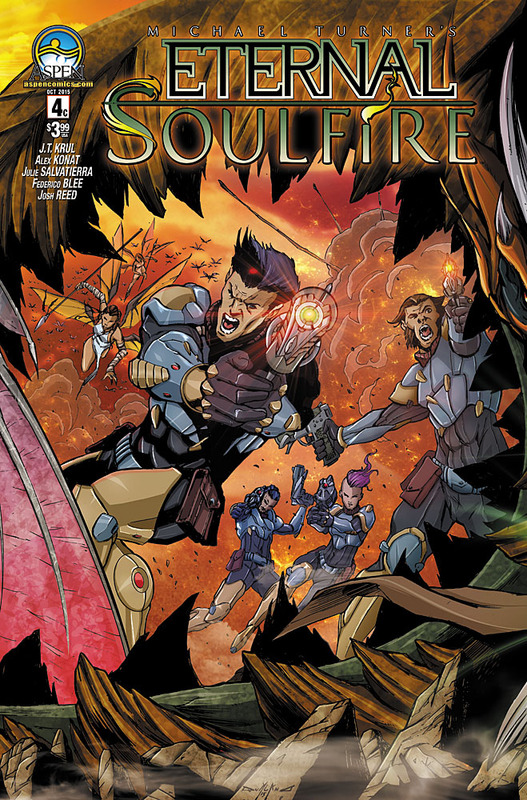 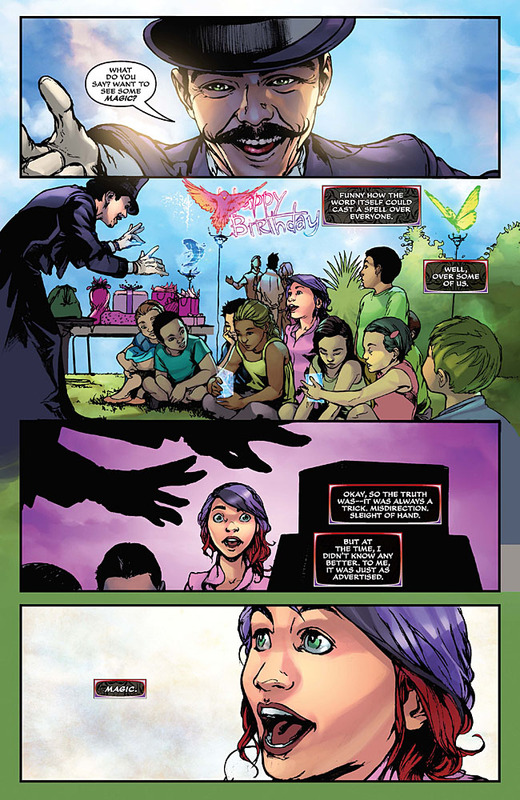 The Fellowship has obtained a first look at ETERNAL SOULFIRE #4 from Aspen Comics. 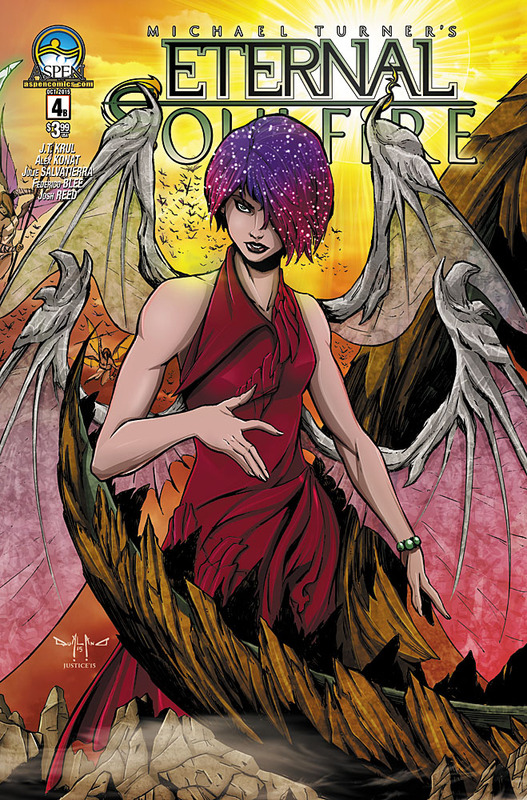 The issue, which hits stores October 21st, is written by JT Krul with art by Alex Konat. 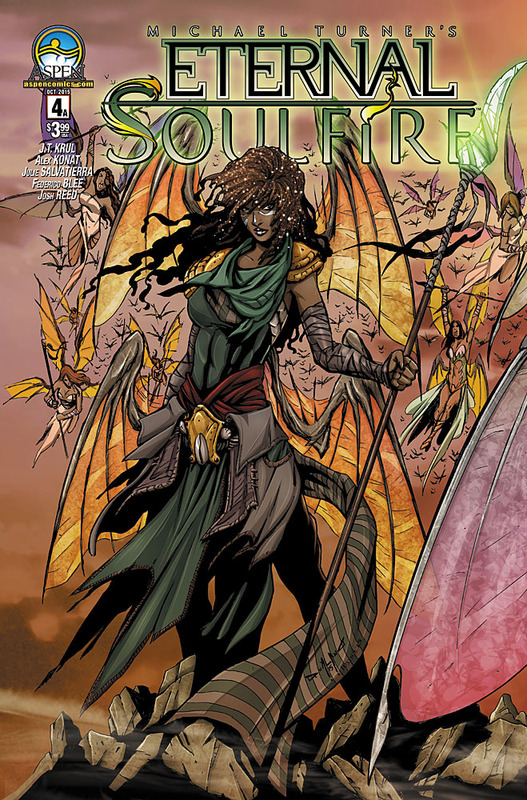 Miya's secret desire to reconnect with the ghost of her father may spell trouble for her tribe of warriors, and if that wasn't bad enough, Cassidy and the others find themselves in the crosshairs again!